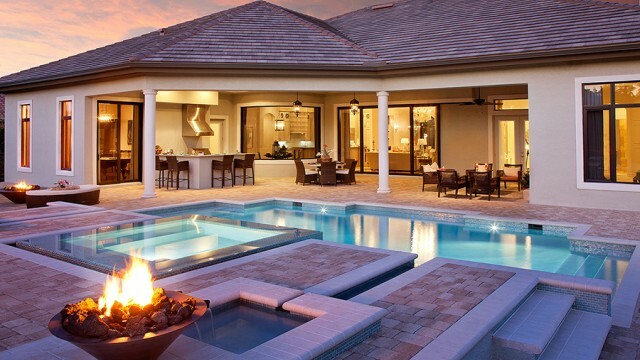 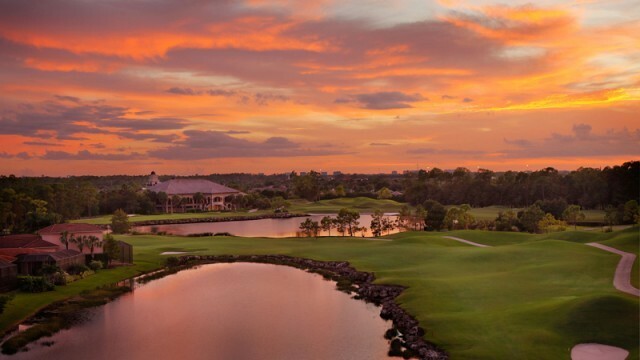 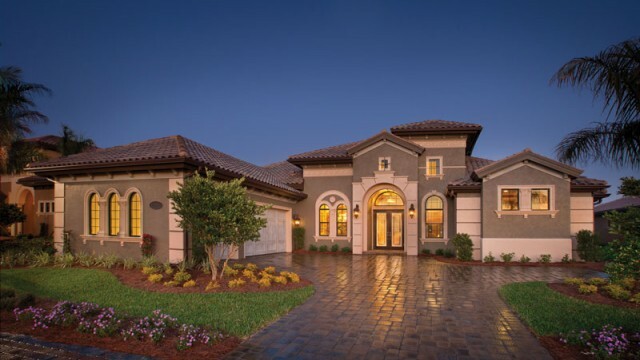 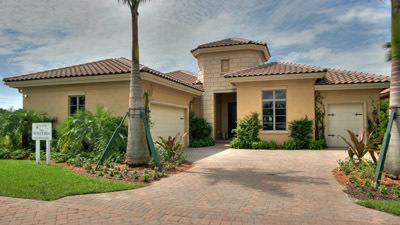 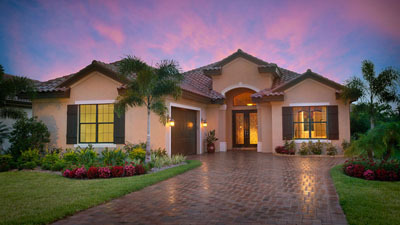 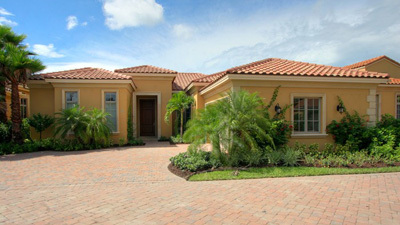 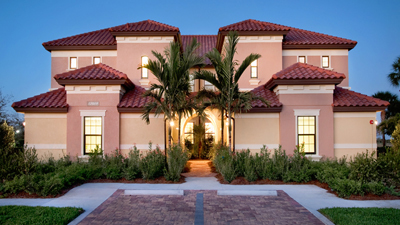 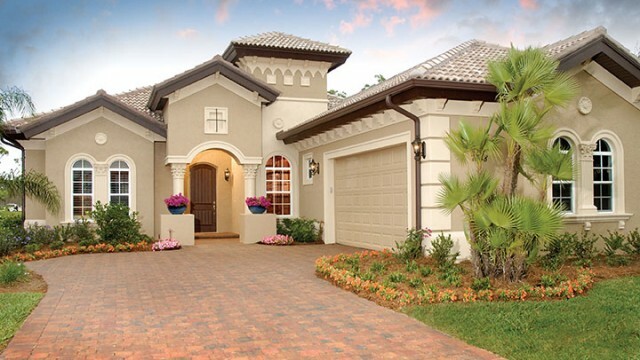 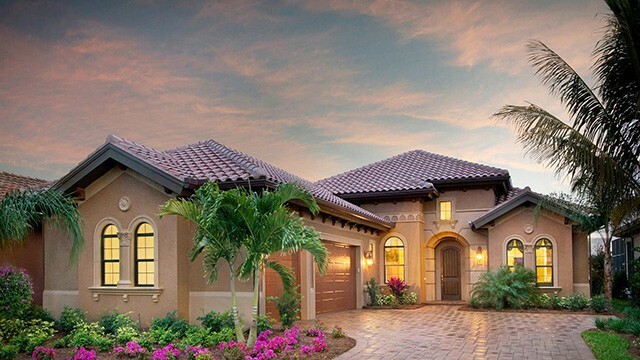 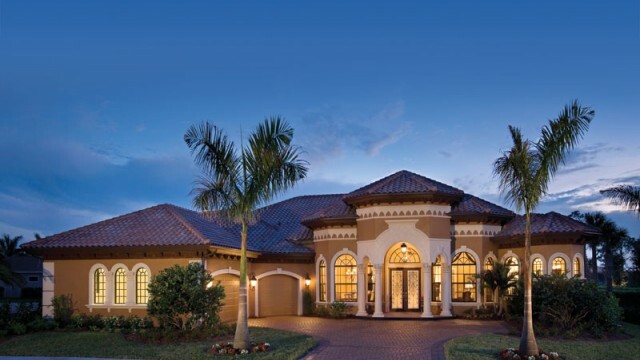 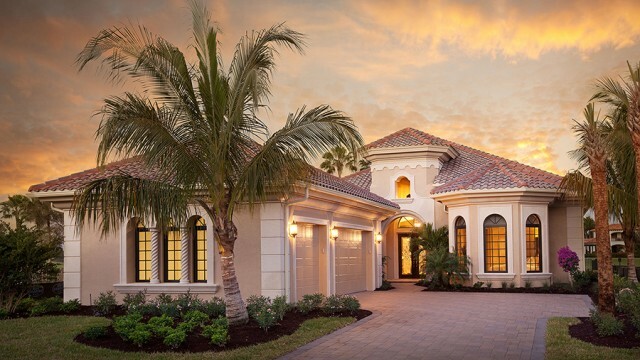 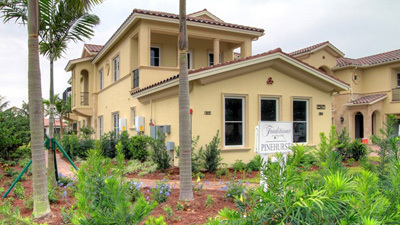 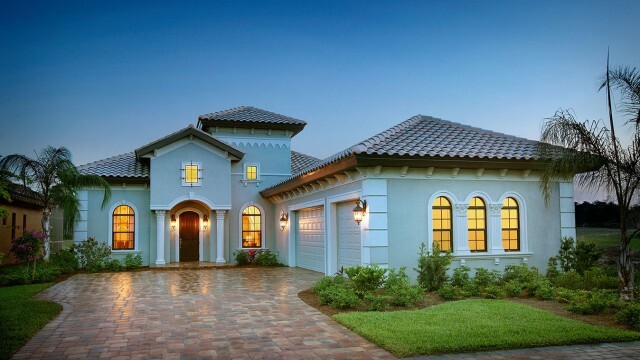 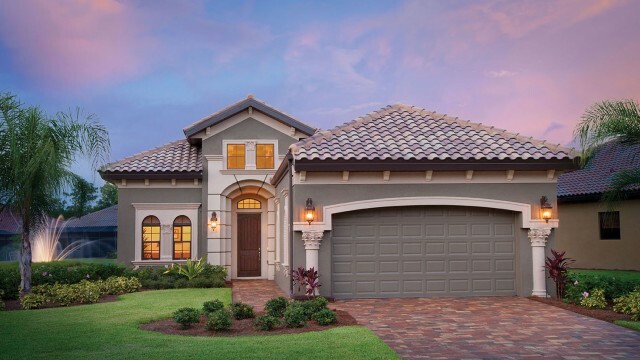 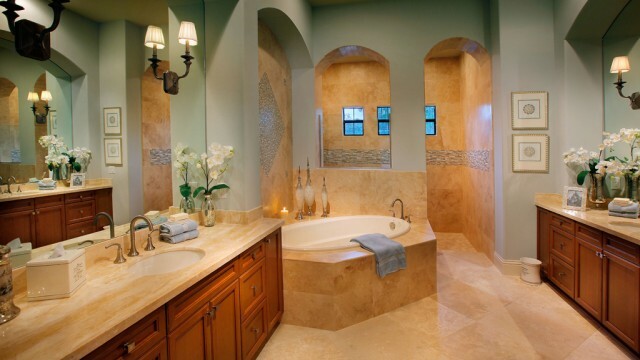 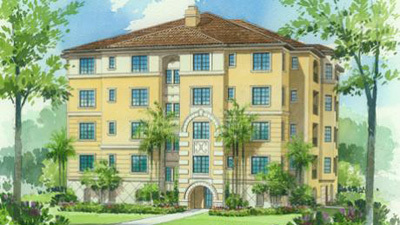 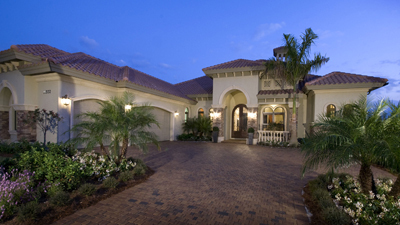 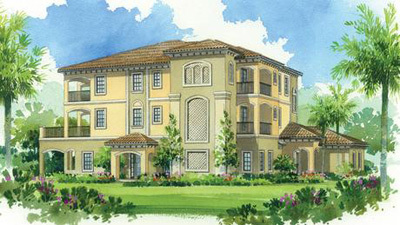 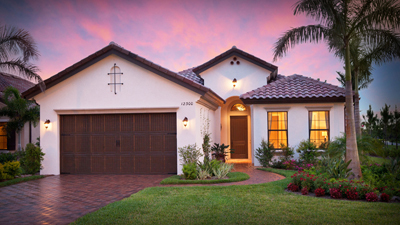 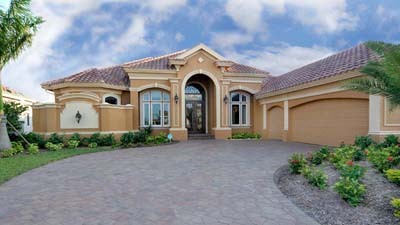 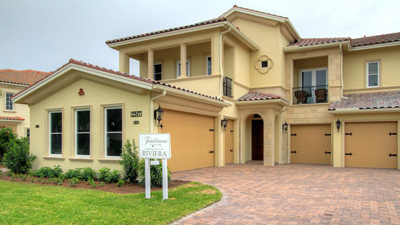 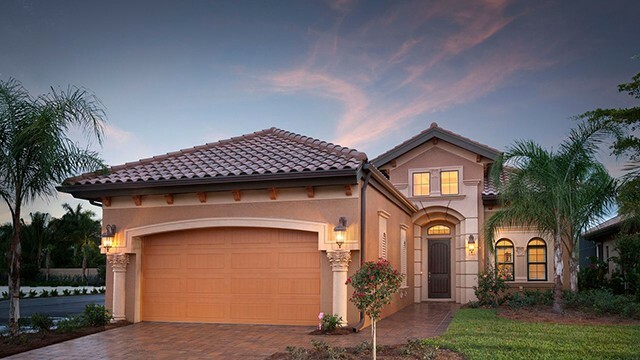 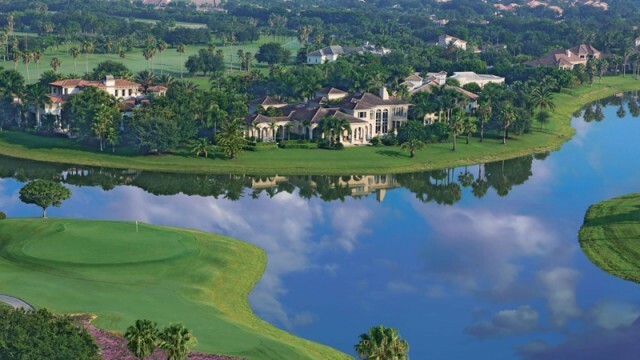 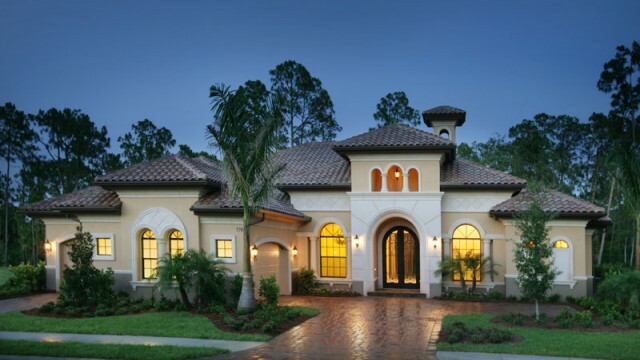 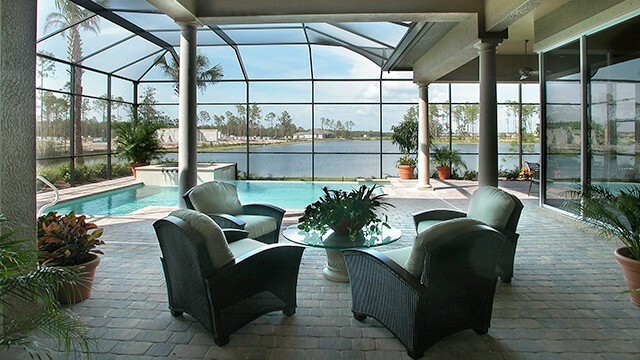 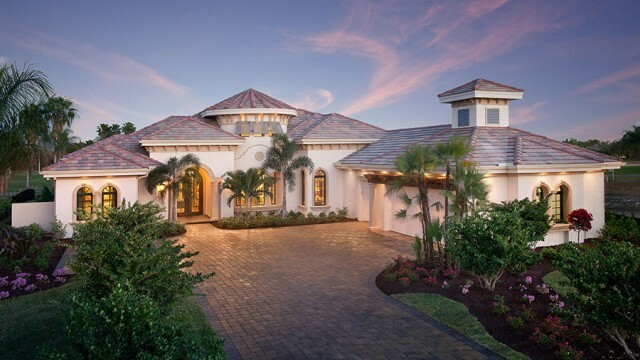 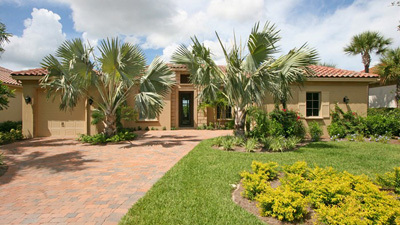 a new home in a luxury Naples golf community. 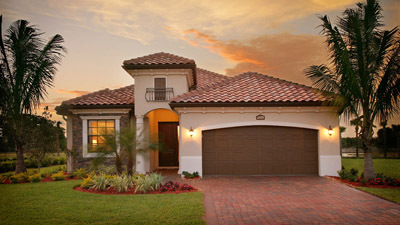 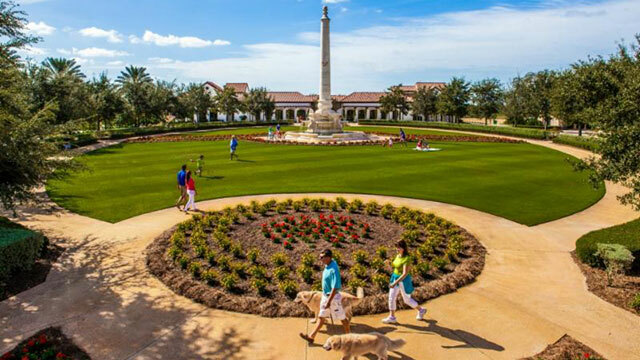 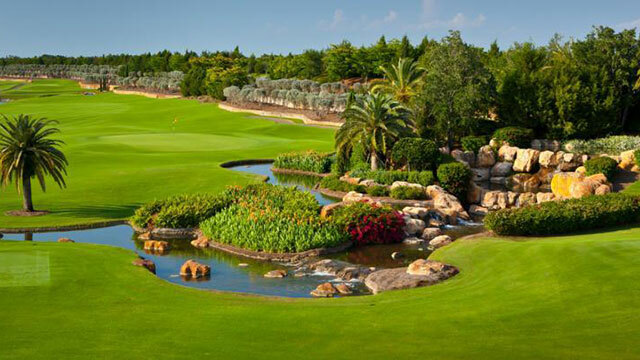 See examples below, of some great new homes being built in golf communities. 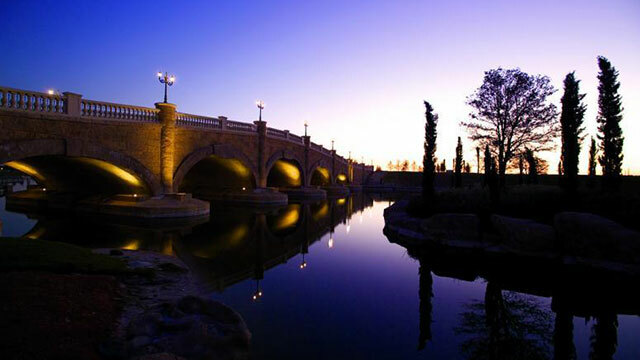 Bridges inside development add character at night!